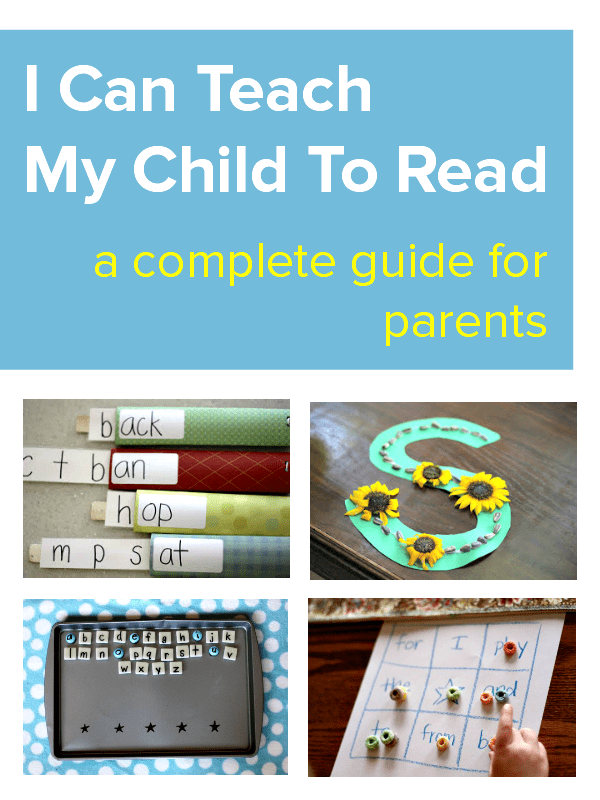 I Can Teach My Child To Read is a comprehensive and wonderful resource that will help you nurture your child’s skills and enjoyment of reading. It contains a 10-step program, that will give you the knowledge and confidence to teach your child to read, along with practical tips and fun activities to use together. The book is written by Jenae Jacobson, who holds a Master’s Degree in Education, and draws on her many years of experience as a classroom teacher. She has turned her passion and skills into an inspiring and practical book that any parent can pick up and begin to use with their own child straightaway. 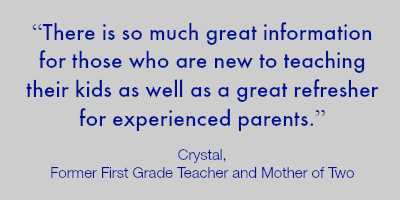 Whether your child is at school or learning at home, you are your child’s first and most important teacher. 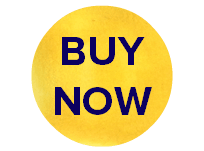 This book will give you the knowledge, skills, and confidence to teach your child to read. 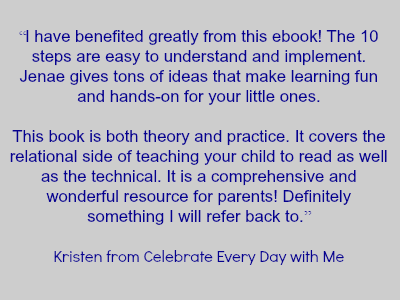 It’s packed full of practical tips, and ideas for fun, engaging activities, and it will support you to successfully nurture your child’s abilities. :: A balanced approach towards reading, with comprehension and enjoyment as the ultimate goals. :: Tips for teaching your child to identify the letters of the alphabet within her environment. :: Activities that promote literacy while incorporating multiple senses and areas of development. :: Comprehension strategies to ensure your child is remembering and retaining what she has read. :: Simple phonemic awareness activities that you can easily incorporate into your daily routine. :: A understanding of why and how to teach phonics and sight words. :: Ideas for decoding strategies that will engage your child. :: Tips on choosing “just right” books for your child to read independently. The ebook costs just $9.99 and you can download it here. Thanks so much, Cathy! These images look amazing!!! 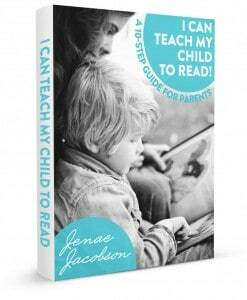 Hi Jenae, I LOVE your blog and I’ve been wanting to get this “I can teach my child to read” for awhile. Any chance it will be on sale during Cyber Monday or sometime during the Christmas season? I noticed some other Nurture Store things are on sale from Rainy Day Mum. Please let me know. Thanks! Interesting! My son is Down syndrome with Autistic traits and he has the ability to read but not spontaneously and neither speak! Any guidance please as the speech has not been successful!